D Type Hydrapulper is combined with Cleaner, Drum Screen, Ragger, Grapple, etc formed continuous pulping and deslagging system, applied to deal with OCC, AOCC, and so on. 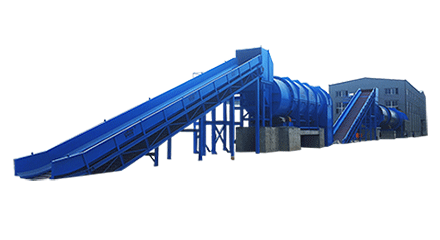 which can make plastic, styrene foam in the slurry and other light and heavy impurities are removed from the hydrapulper tank before being sieved through the pulper without being disintegrated to improve production capacity and quality of good pulp. 1.When the pulper tank is filled with 1/2 water, the motor is started, and the pulp plate, broke or waste paper is evenly put into the tank. When the rotor rotates, the slurry is thrown from the center to the periphery, and a vortex is generated at the center. 2.The material is subjected to strong hydraulic impact and shearing, resulting in fierce friction and softness. At the same time, due to the impact of the rotor, the pulp plate and damaged paper are disintegrated in a wet state, dissociated into a single fiber and separated. structure of the series of hydraulic pulper tanks, when the rotor rotates, the slurry flow is blocked by the D-shaped straight face of the tank to the center, which shortens the rotary path of the slurry, and the slurry is disintegrated more frequently. 4.The undisassembled paper sheets and fiber bundles are further detached in the gap between the rotor and the screen. On account of the special shape of the tail of the blade, it has the function of keeping the mesh hole from being blocked. 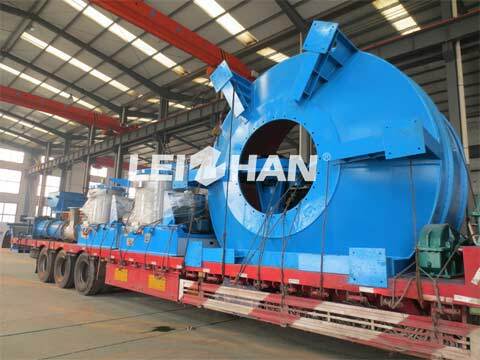 If you have interested in this Pulping System D Type Hydrapulper, please feel free to contact with me: leizhanpulper@gmail.com.